Rapid and efficient preparation of DNA, proteins, and chromatin is vital in performing downstream analyses. Our suite of sample preparation kits are suitable for nearly any workflow, whether it be isolating chromatin for ChIP-Seq or ChIP-PCR applications or preparing DNA from a variety of starting materials for Bisulfite-Seq or MS-PCR. Our sample preparation kits enable you to go directly from extraction to reaction, offering countless possibilities and flexibility in your experimental workflow. 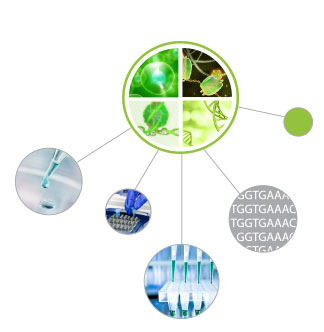 Our DNA, protein, and chromatin preparation kits are the starting point for endless research opportunities and downstream applications. No matter what assay you may be carrying out, proper sample preparation is the initial step that can dictate the success of an entire experiment. 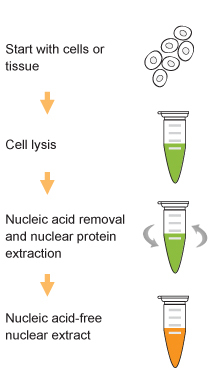 EpiGentek's sample preparation products place particular emphasis on the following features: (a) rapid isolation of high quality, ready-to-use DNA, protein, or chromatin samples; (b) efficient yield from trace samples; (c) high flexibility in starting materials; (d) compatibility with various downstream assays or analysis techniques; and (e) specific optimization for use with EpiGentek's assay products. Our line of RNA preparation kits are suitable for the quick and efficient isolation of total RNA directly from a wide range of samples, including tissue, plant, blood, cultured cells, and fungus. The purified RNA can be used for a variety of routine applications, such as RT-PCR, cDNA synthesis, Northern blotting, differential display, primer extension and mRNA selection.